A big bag of money is coming to the 71-Haight-Noriega line, with the goal of shaving off six minutes for each round trip. The San Francisco Examiner reports that the SFMTA approved $6.6 million as a part of the “Muni Forward” effort to add pedestrian improvement and improve service reliability. The project will eliminate a number of bus stops and add pedestrian bulb-outs along the route, officials said. According to the SFMTA’s website, the upgrades will add to the streamlined commute offered by the recently completed transit-only lane on Haight Street and will complement a planned service increase for the 71, which is expected to go into effect next year. Construction will begin in the spring, SFMTA spokesperson Paul Rose told the Examiner. 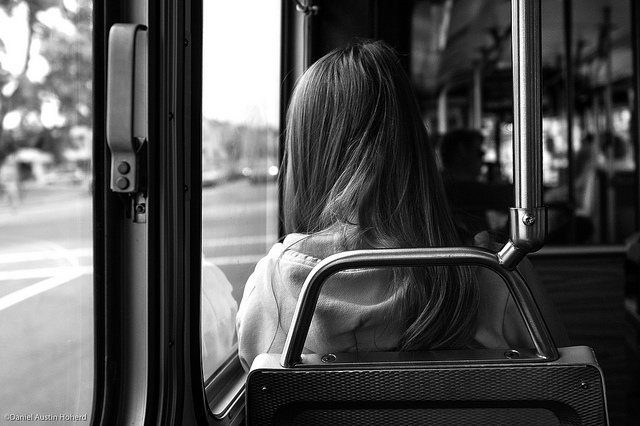 Something about riding the bus gives you that “it takes a village” feeling. When a rider saw a kid on the bus doing something he shouldn’t be doing, he took matters into his own hands. Rider Ben R. sent us this story. 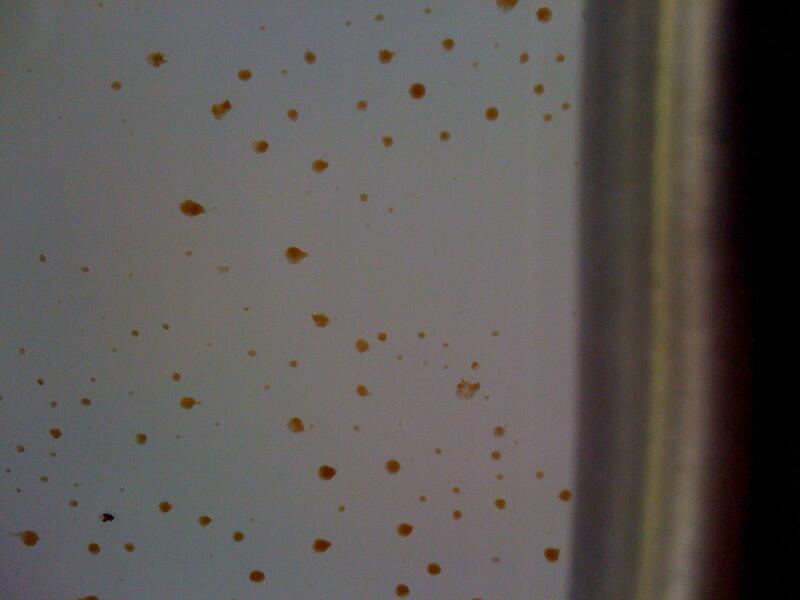 Could it be refried ectoplasm? We know you ain’t afraid of no Muni ghost, but seriously, how did this goo get up there? We take these things for granted in San Francisco. But there aren’t too many other places in the world where @trivia_tidbit‘s tweet would make total sense. And it probably really didn’t even matter. Which it shouldn’t. 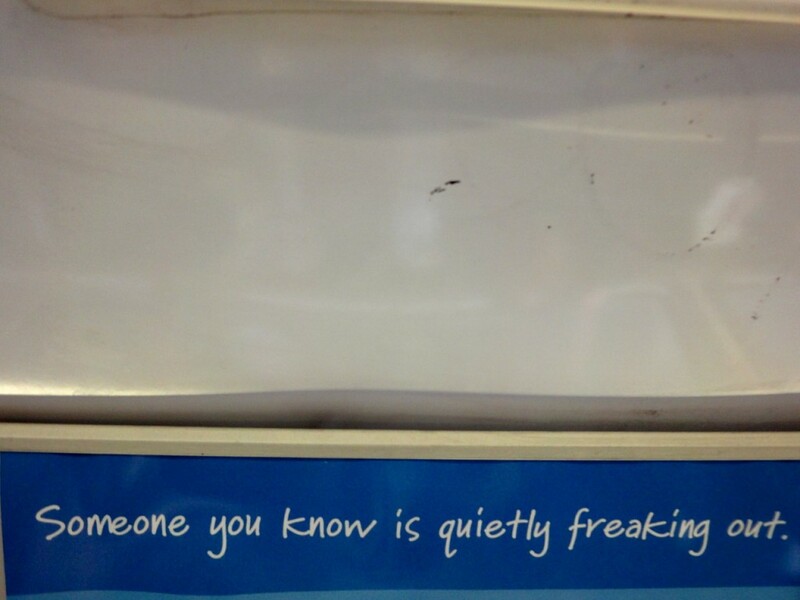 Are There Quiet Freakouts on Muni? The Tenderloin Geographic Society posted this one today, pointing out the irony of quietly freaking out on a 71.
Who is freaking out on your Muni? 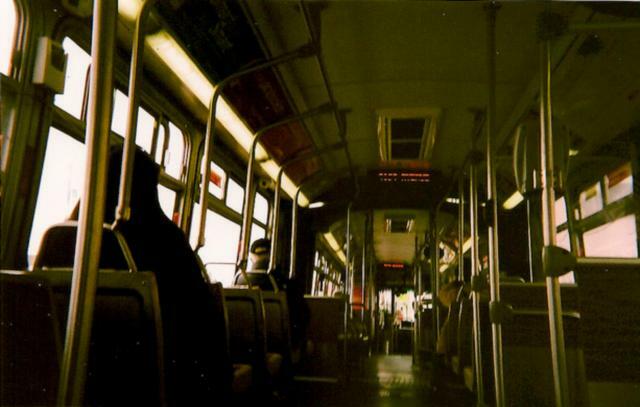 Send us a Muni diary today. 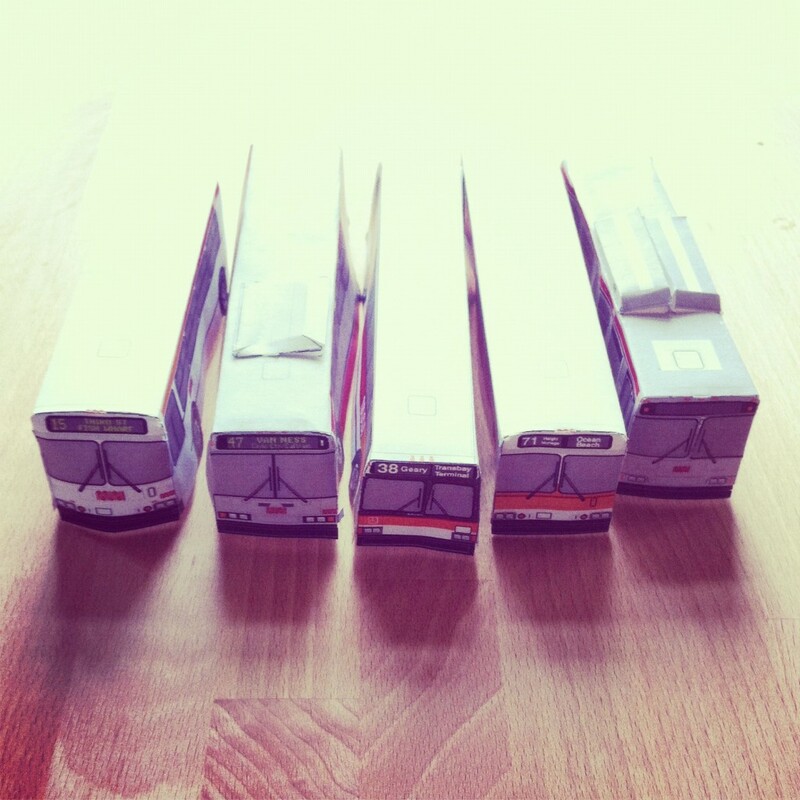 Back in December, we posted what was obviously the hottest item on your holiday wish list: folding paper Muni buses. 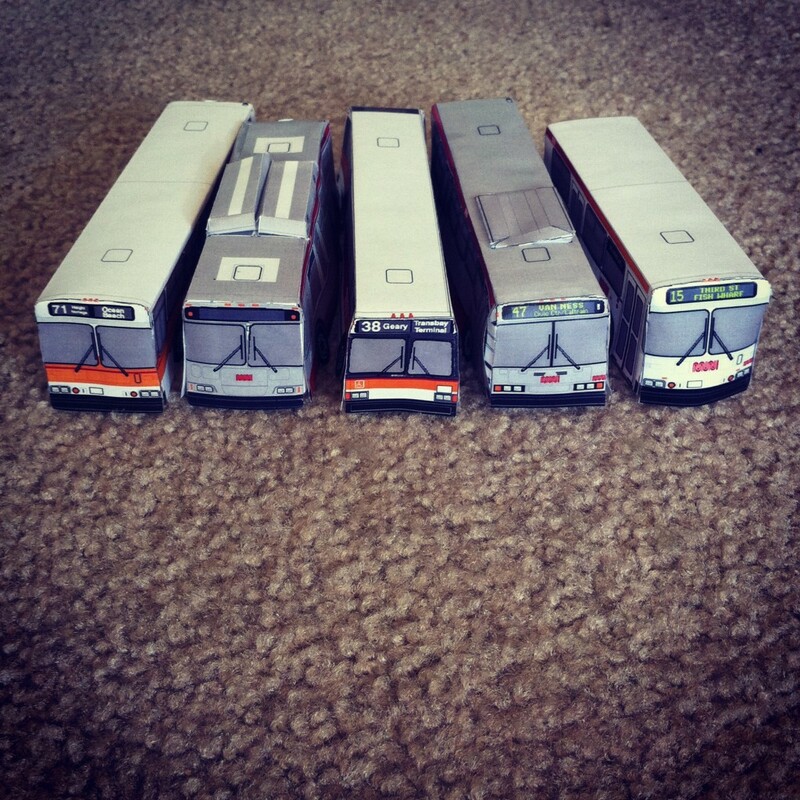 Think paper dolls, but for your favorite Muni line. An easy, fun idea from Paper Buses via Uptown Almanac. Marjorie contacted us recently to say she made five of these babies: the 71-Haight-Noriega, the 38-Geary, the 47-Van Ness, the 15-Third St./Fisherman’s Wharf (takin’ it back old school), and the occasional Out Of Order (taking it back to, oh, now). Neato. Print yours out today — there are a few other lines available on Paper Buses — and send us your photos and stories. Why’d you pick the line that you did? We’re still waiting on that inaccurate paper NextBus tracker to go with it.